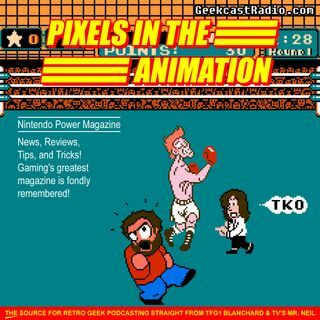 Explicit 95 - NINTENDO POWER! In Episode 95 TV's Mr. Neil and TFG1Mike HAVE THE POWER! NINTENDO POWER that is! Mike lists through several volumes of the magazine that he remembers having as a kid, while Neil talks about his favorite parts of the magazine. They both reminisce on how Nintendo Power was the one way to get all the video game secrets, and how it influenced future Video Game mags! As always tune in and help us find the Pixels In The Animation! Are you ready for the final five episodes of the podcast? 96-100 ... See More will all be released by June 21, 2019!